Here is a young girl's dream - a coloring and craft book, all in one! This series comes from the lovely Charmie Girls, who enjoy being together, catching up on the latest fashion trends and always looking stylish. 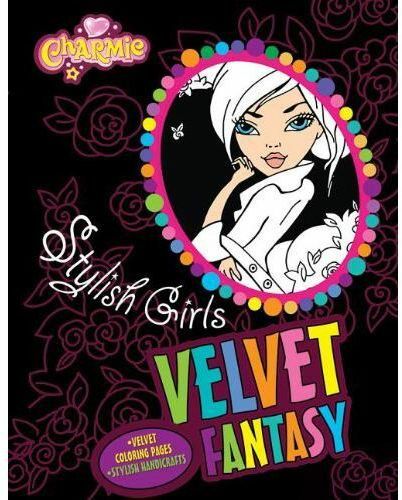 Each book includes four velvet pictures (waiting to be colored) and four different activities related to the everyday interests of young girls. Making picture frames, paper lanterns and carnival masks are just a few of the numerous craft activities found in the pages of the Velvet Fantasy series.